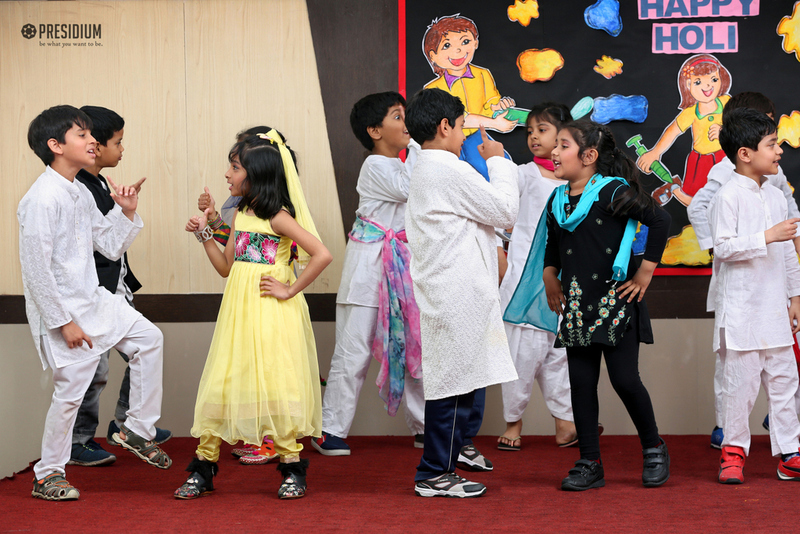 PRESIDIANS SOAK IN THE COLOURS OF JOY ON HOLI! 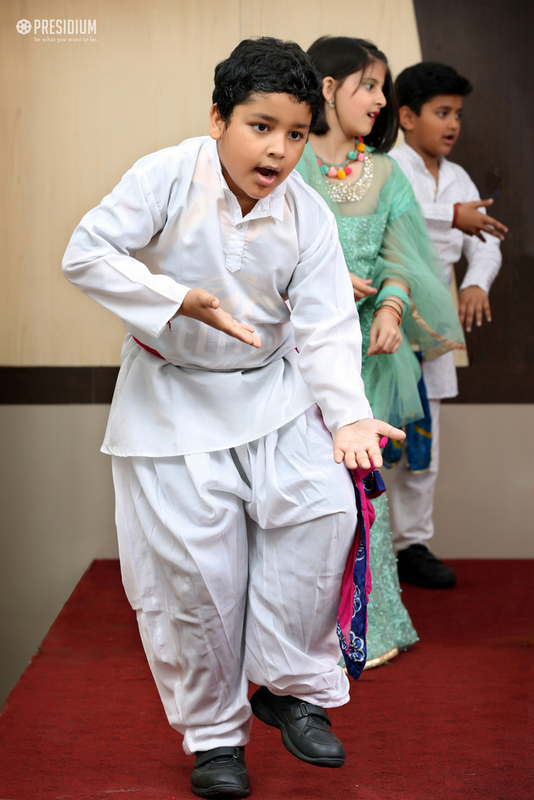 RANG DEY! 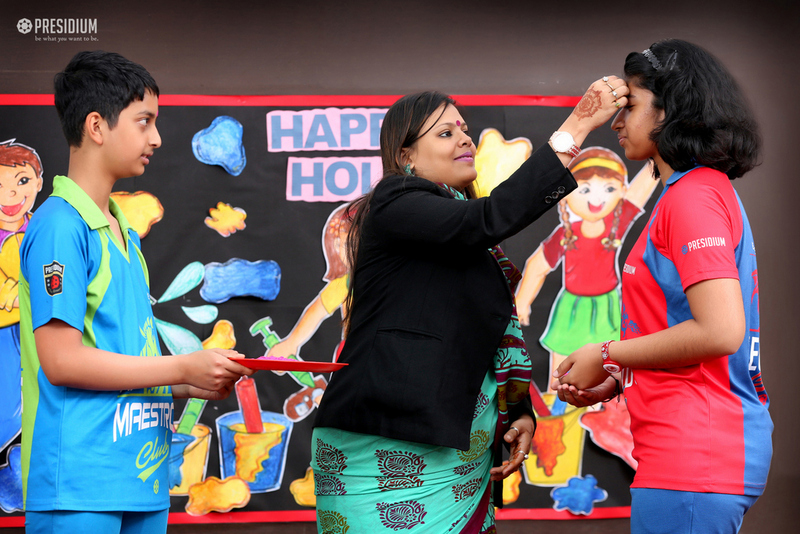 HomeNews and UpdatesPresidians soak in the colours of joy on holi! rang dey! 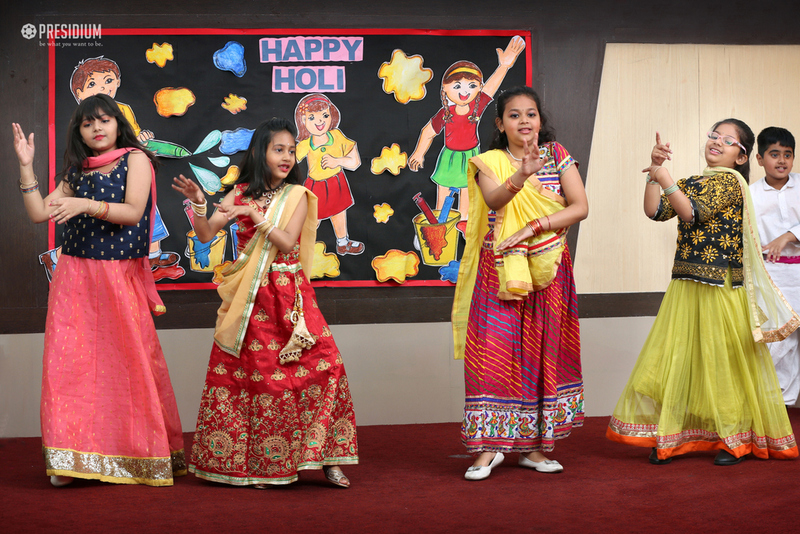 Holi, the festival of colours is one of the most popular, vibrant, exciting and fun festivals of the year. It is a celebration of spring – the return of the colours around us – new leaves and new flowers. 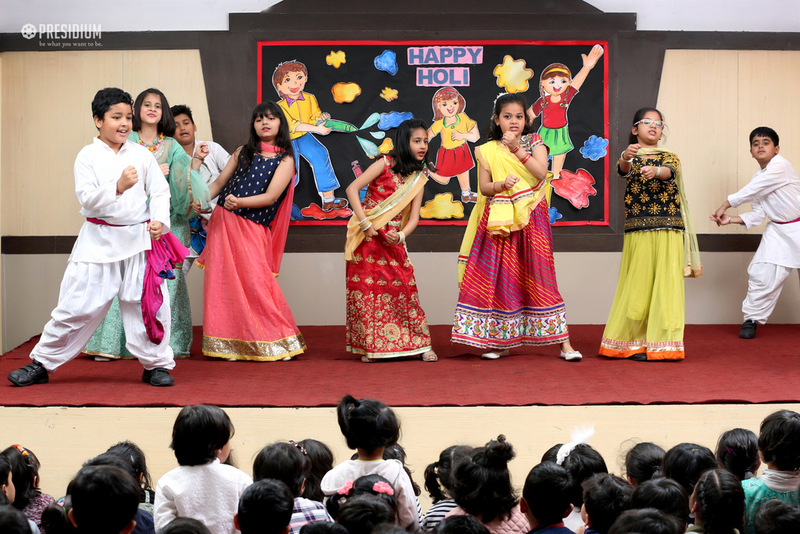 Presidium Noida celebrated this festival of colours with great zeal and fervour. 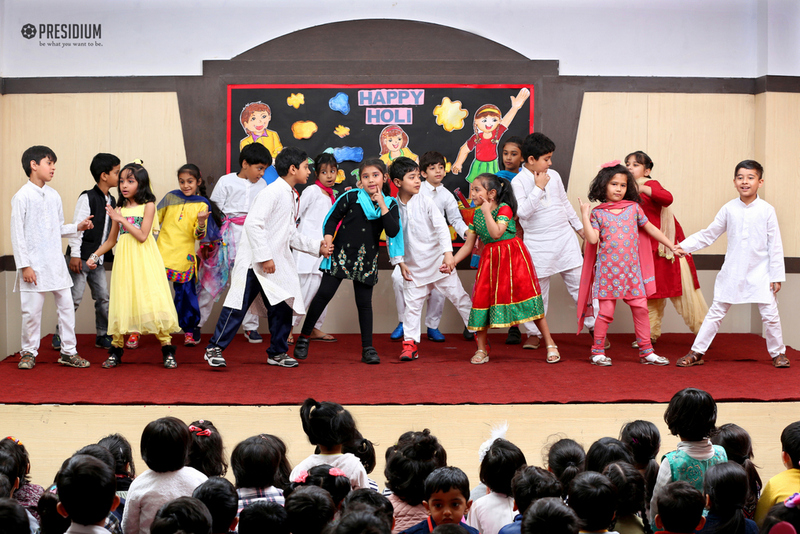 Celebrating Holi was given an Eco friendly and peaceful mélange with floral petals of beautiful essence and hues. 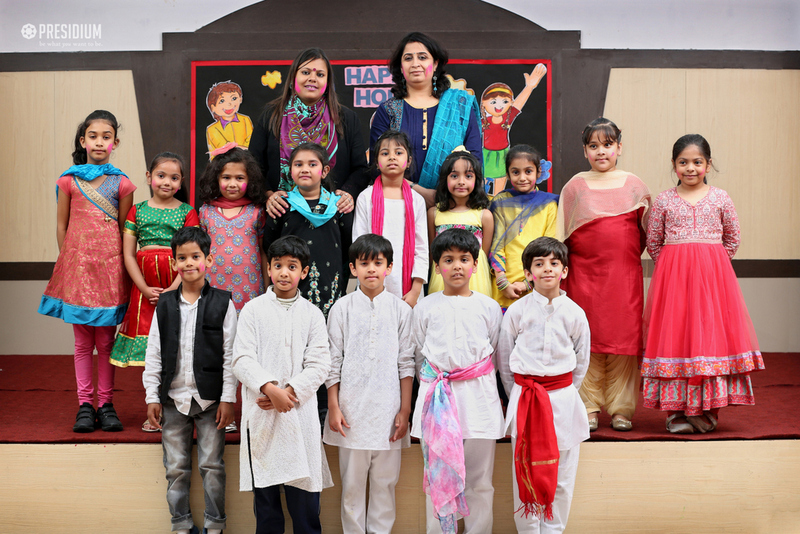 It was a divine and an exhilarating experience for everyone who participated in the celebration. 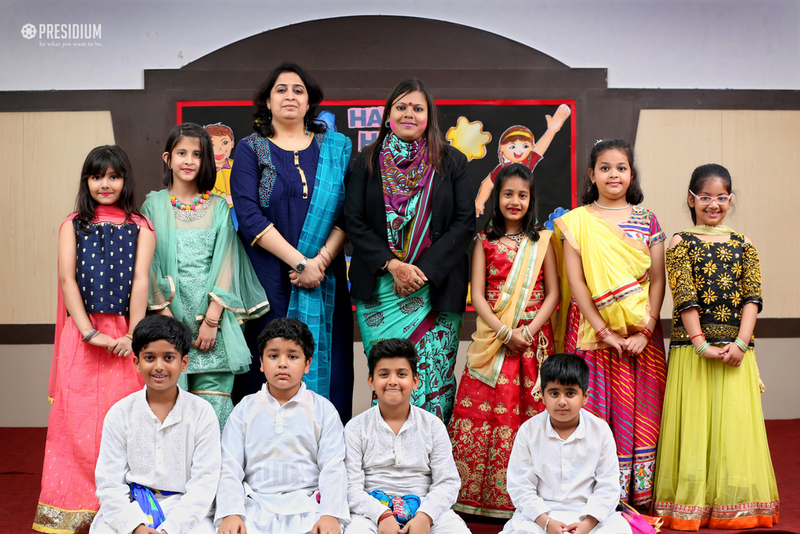 Students shared knowledgeable and interesting speech that enlightened everyone about the significance of the festival Holi. 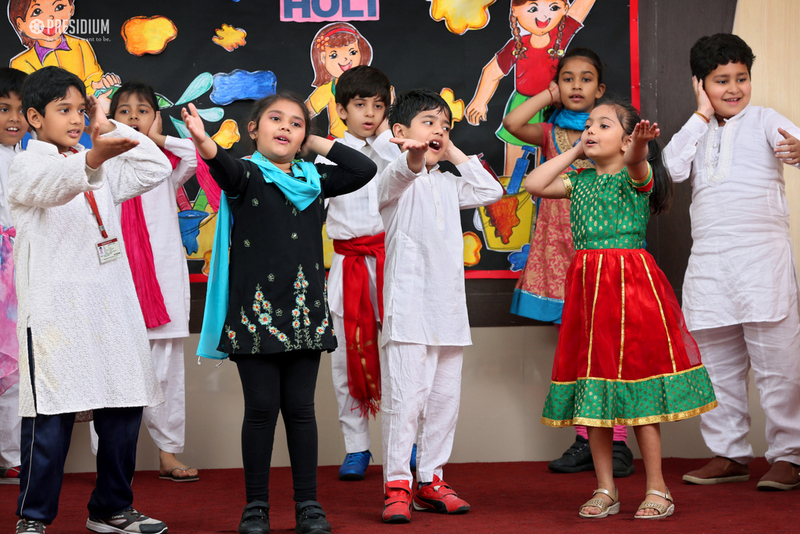 They also encouraged everyone to play a safe and environment friendly Holi, say no to toxic colours which are harmful for skin and overall health and for natural coexistence. 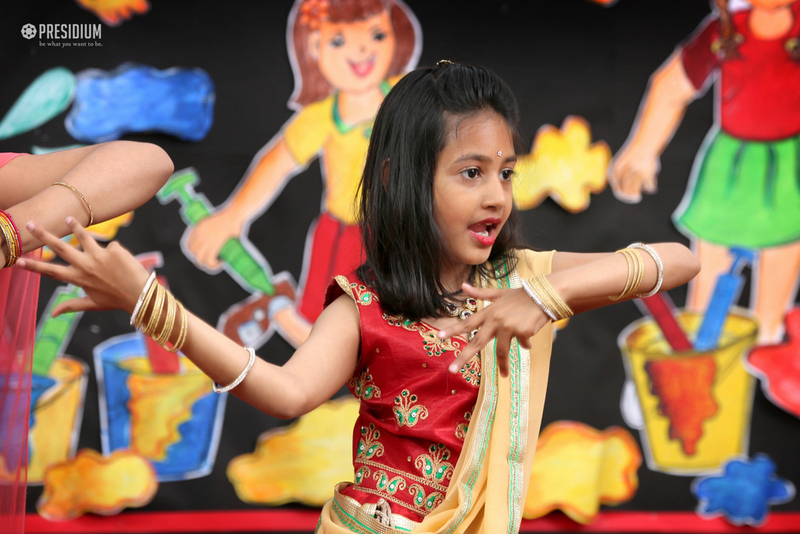 The beautiful dance performance by the students at the end enthralled the audience.